This beautiful and secluded 4 bedroom Kiawah Island vacation rental in West Beach, located at 23 Greensward Road, boasts a heated pool and is only a short walk to the beautiful Kiawah beach. Relax on the large back deck and enjoy the lagoon views and the abundant wildlife surrounding this home. 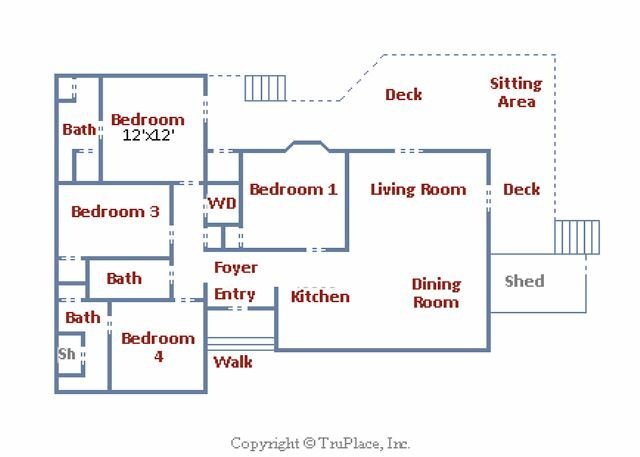 As you enter the home the main living areas and one bedroom are to the right and three bedrooms are to the left. Enjoy many custom touches including beautiful tiled floors, granite countertops in the kitchen and bathrooms, stainless steel appliances, and comfortable furnishings throughout the home. The fully equipped kitchen has custom light fixtures, white cabinets, stainless steel appliances, tile backsplash, granite countertops, and everything you will need for preparing your meals during your stay. The large center island with deep sink overlooks the living area with lots of windows and glass doors for enjoying the views. The spacious kitchen opens to the dining area with a nice wooden table and seating for eight. The living area has plenty of comfortable seating including two sofas and two cozy chairs. An Bluetooth device is located in the living area so you can enjoy your favorite music during your stay. Two sets of glass doors lead out to the large wrap around deck featuring a pool, gas grill, and peaceful lagoon views. The pool, newly installed in 2016, may be heated in cooler months or cooled in warmer months for $75 per day. The master bedroom is located on the back of the home and has a king size bed, cozy reading chair, armoire, flat screen TV, alarm clock with I-Pod dock, French doors leading to the deck, and private bathroom with nicely tiled shower with glass enclosure. A second master bedroom is located on the front on the home with a king size bed, flat screen TV, alarm clock with I-Pod dock and private bathroom with granite counters and a nicely tiled shower. A bedroom is just off of the kitchen with a queen bed, leather reading chair, dresser, and flat screen TV. This bedroom shares a bathroom with a tub/shower combination located down the hall. The fourth bedroom with a nautical theme has 2 twin beds, flat screen TV and an attached bathroom that is shared with the queen bedroom. The home received new bedding and paint in Spring 2015. The home is furnished with washer, dryer, and high speed wireless internet. 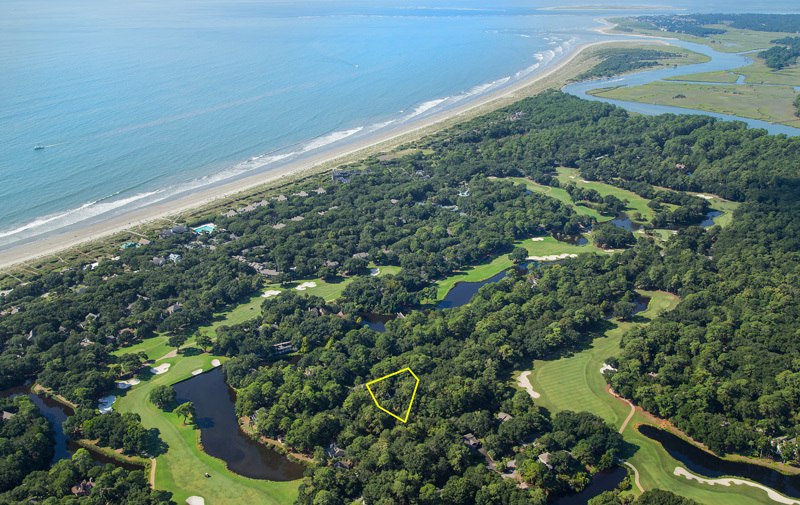 During your stay on Kiawah Island, be sure to enjoy biking on the 30 miles of flat bike trails, golfing one of five world-class courses, playing tennis, crabbing, fishing, swimming, and boating. Many families also enjoy the kids’ camp and nature programs at Night Heron Park. The pool may be heated or cooled for $75 per day. We couldn't have asked for better weather. Home has a great layout and heated pool and large wrap around deck with grill. We ate in most of our stay, but headed into Charleston for dinner one night. Easy access to the beach and we enjoyed kayaking the Kiawah River too. Loved it here and will be back. Everything was perfect. Better service than you could ask for. Private saltwater pool and deck made us never want to leave. Comfortable for everyone in the family. Kitchen was great so we just ate in most nights. Easy access to the beach. Will be staying again. Probably the best rental we have had on Kiawah! Great location, great condition, great space and comfort. The pool was a great size for 3 grandkids and a nice quiet setting for adult pool time in the evenings. It was GREAT!! My family and I loved our stay at 23 Greensward. The pool made it a great week. It worked out well because some people wanted to be in the sun and others wanted access to the house off and on throughout the day. Perfect. The house was very well stocked and the little toiletries provided were better than any place we have ever rented. The kitchen was also the most stocked even with condiments from previous renters. We looked at the price later in the season and it goes up a little too significantly in the summer. Overall a great vacation and great house! Our family (6 adults and two children) stayed at 23 Greensward. We had a great time, and enjoyed staying at this property. It was a short bike ride to the beach, and could easily be walked. We enjoyed having the pool there, and spent a lot of time in it. The backyard was extremely private, and we saw lots of wildlife. Great home for families or friends. Wonderful location to beach, restaurants, touring, shopping and the most beautiful golf courses ever. Also, only 45 minutes to Charleston. Home was well equipped,very comfortable and extremely clean. It also has a wonderful deck and pool to enjoy. We all enjoyed a relaxing, fun filled week. Would highly recommend. 23 Greensward is the perfect cozy beach house! The bedrooms and baths were well appointed and gave enough privacy. The open kitchen and living area were great. Nice outdoor spaces and very private. Would love to rent this house again! We're so pleased you enjoyed your stay at 23 Greensward and we'd be happy to assist with your next Kiawah vacation rental! With 3 small children, the pool was a game changer. Comfortable furnishings and open living area also very workable. We have been vacationing in Kiawah every summer for the past 10 years. This house on Greensward, was the perfect house for our family of 5. The property was clean, the kitchen was equipped with all the necessary amenities, and we especially enjoyed the pool. We enjoyed riding our bikes around Kiawah and the beach was a short 5 minute bike ride away. Akers and Ellis is so friendly and easy to work with. We would stay in this house again and would recommend this house without hesitation to others. Another great stay on Kiawah! Our family of seven really enjoyed this house on Greensward. The layout was nice, the house was clean and the pool was very nice and relaxing. We would definitely consider staying here again. The home was absolutely wonderful! We had everything needed to have a comfortable week stay. The pool was such a wonderful addition! Renting with Akers Ellis was such a hassle free experience. A Perfect Stay on Kiawah! This rental was the perfect size for our family of 6. The pool in the backyard was a huge hit with the kids and although it seems shallow in pics, it is quite deep on one end (maybe 7 ft?). The house was spotless with not a hint of perfume or fragrances that are the norm so it was perfect for this allergy sensitive family. The back deck was great for hanging out and grilling while watching the kids splash around. It was an easy bike ride to Freshfields Market and the beach. The beds were super comfortable,too! You won't go wrong with this one if you're interested in a comfortable, clean home close to everything with all the amenities you might need. My sisters(4) and I spent a long weekend at 23 Greensward. I have stayed in lots of VRBO's and this was the best stocked I have ever been in. If you can book this home you will love it. This is the second time we have rented this house for our family of 8. The house is the perfect size for us, the kitchen is pretty well-equipped and we love the pool. It's about a 5 minute bike ride to the beach, so the location is great as well. Our experience was great! The team at Akers Ellis was very good. We were able to get in our rental early and head to the beach. Loved this house! It was perfect for our family get together. The kitchen was well stocked (although could use a few more food storage containers). The location is excellent, only a four minute bike ride to the beach- can't get much better than that for the price. The beds were comfortable, lots of towels and other small amenities that are a nice touch. The property management company was great, very easy to work with, helpful in all areas. We'll be back! We had a wonderful time even on the rainy days! Loved the decor, configuration, all the kitchen necessities and the wonderful, comfortable beds. Would definitely give it a 5+!!! Looking forward to possibly coming back at another time of the year. My family really enjoyed our week. Thought the house was very nice and kitchen equipped well. My family and I were completely satisfied with this home and would rate our experience as a 5. The house was lovely, well appointed and clean. The beds were comfortable and we had everything we could need (except beach chairs, but we knew that). The location was great and we loved the privacy on the back deck. The Akers Ellis app was very convenient, especially for the door code. We are even thinking of reserving it for a week next March, so I may be contacting you again soon. We really like 23 Greensward and hope to be able to rent it again next year. No question about would be a 5. We had a wonderful time and the process to book the vacation was effortless. I particularly liked the mobile app. We had a wonderful week and were very pleased with the rental and with Akers Ellis. Our family has been vacationing on Kiawah and Seabrook for 25 years and this was one of the best experiences we've had. We were very satisfied and hope to rent from you again in the future. Ideal situation. Location and proximity to beach was perfect, house as well appointed and very clean. Had a really nice time. The home was perfect for my family of 7. The home was clean and very homey. The rental agency was wonderful in responding to our early issues. There were plenty of games provided. The kitchen could use bigger size pots and pans. The outdoor pool was great, but could be cleaned better. We'd definitely rent this home again! Great House On Kiawah Island. We have been coming to Kiawah for several years now. My Sons beach wedding was the reason this time. Weather cooperated for September which is sometimes the rainy season. The kitchen was well equipped. I usually bring my own skillet as some rentals have beat up pots and pans. Everything was good here. The pool was a plus and it was serviced the day we arrived so it was clean and ready to go. The house has a good location being close to the 1st gate and only a few blocks to the beach and the Straw Market. The outdoor shower was great but really needs a better surface to stand on when entering and exiting the shower so your feet don't get dirty. We watched hummingbirds come up to the rear deck to feed on the flowering plants. We had a great time over New Years. Our home was well appointed and the kids loved the heated pool. House was clean, spacious, and perfect for our week stay at Kiawah Island. The house had everything we needed and the pool is a great touch. We used the pool every day as well as the patio furniture and grill. I would highly recommend this place to any of my friends and family. Definitely would stay here again, next time for longer! The house was beautifully designed and decorated with so many updates! And very clean! We loved the pool in the afternoons and enjoyed happy hour on the back deck. We saw so many deer and wildlife. The home felt very private... could barely see other homes through the trees. We biked to the beach which was only 5 minutes away. The outdoor shower was great for after the beach so we didn't track sand in the house. Kiawah is great for families and our children love it. We enjoyed activities through Night Heron park and biked the trails nearly everyday. We have been going to Kiawah for a few years and usually stay in condos or villas. This was our first time renting a house and we loved it! This house will be marked as one of our favorites! And Akers Ellis was top notch. They are very responsive and the app is very cool. We had all our rental info on our phones. Loved not having to go through a long check in process. One of the best vacation rental experiences we've had. Great place to get away! The house was great!! We had 8 people and there was plenty of space. Would recommend to anyone. We loved all the house and had plenty of room for the four of us. The overall appearance of the house and grounds is much better than we expected. The beach is also closer than we thought. You can get there by walking, biking or driving. We had a wonderful time. We even went horseback riding on Seabrook Island, which was awesome. Also did a lot of other sightseeing tours. The only thing we didn't like was the temperature in the house. It was too cold. But overall we had a great time and would highly recommend this property to everyone. Thanks for everything. This recently renovated home was in terrific condition and had all our family could need. It's in a quiet neighborhood about a 6 minute walk to the beach and minute ride to the bike paths. The house had all amenities including a terrific kitchen, great deck, and ample room for our family of 5. I felt like I was in Paradise! Kiawah Island is like being in Paradise, we were nestled between several golf courses and very close to the beach. The home was beautiful and the beds were great. Very relaxing, great bike paths and plenty to do if you have the desire, some days the desire is not there and then you chill out at the beach. Thank You for such a nice time. We absolutely loved 23 Greensward and the property is just beautiful. We are nature lovers and the deer just wander through and the trees and light coming through them are terrific. We think the owners did a fabulous job on renovating the place and putting top quality appliances, furniture and showers etc. We have already recommended the place and Akers Ellis to several people for the future. I also tell them we were very impressed that one of the owners even came over to help us with a very simple tv issue on a Sunday. It shows you care. beautiful, roomy - deer in the yard every day! Great place for a week. This house was perfect location. Short bike ride to the beach. House was in great condition and very nice. We would definitely stay here again. We were extremely pleased with the house and all of the amenities. It was a great location and we especially enjoyed the back deck and grill area. We enjoyed the stay and would absolutely rent again. We would definitely rate it a 5! The only thing that could have made it better would be less rain, but nobody has control over that. The home was very comfortable. We spent a long weekend there with our 2 teenage daughters. They each brought a friend and there was plenty of room. Akers Ellis were great to deal with. I would use them again and stay here again. We had a great stay. We didn't spent much time in the home because we were there for a golf tournament, but I would give a 5 on satisfaction. Thank you for the help and offering great places to stay. We SO enjoyed our recent week on the island. The home we rented was lovely and had everything we could possibly need. The staff (Trapper) who checked on us and looked after our phone issue was super. Alligator bike company was terrific and very accommodating. We even kayaked down Bohicket Creek, Kiawah River and the Edisto River - neat experience. We would love to come back to the island. Thanks for your interest in our holiday. We thoroughly enjoyed 23 Greensward and hope to rent the same house again next year. We all agreed that it was our best rental in 17 years coming to Kiawah. So, we rate this rental a 5.
this is the 2nd time we have rented that house...the house was immaculate upon arrival...and the employees I worked with to set up reservation were awesome too!! Everything was great. Our experience was a solid 5. Even nicer than the photos! This rental was even nicer than the photos. We LOVED the way it was staged for our arrival - lights on, music playing. It was very welcoming! Overall it is in good shape and well stocked. We would definitely recommend this home to our friends!